The South Coast’s leading coach firm off to a racing start in 2015 by investing more than £2m in its front line fleet. Last summer Lucketts Travel Group added two new 53-seat Scania Omni Express executive coaches, each worth £270,000. One is now serving customers using its Coliseum Coaches division in Southampton, while the other is used by Lucketts Travel customers, which has its headquarters in Fareham. Now the new year has begun, Lucketts has stepped up a gear with the acquisition of a 61-seater Van Hool Altano and a 59-seater Scania Irizar i6, both of which will be used for Coliseum Coaches’ excursions and cruise transfers. The company is also investing in two Scania Caetano Levante coaches, which will be used from March on the routes the firm operates for National Express – from Portsmouth to Heathrow and Victoria, from Southsea to Bristol, from Brighton to London and from Gatwick Airport to Victoria. Each coach is worth £294,000. Finally, in April, the company will welcome a further two Irizar i6 53-seat coaches, which will be used exclusively by the Lucketts Travel holiday and excursion programme based out of the company’s head office in Fareham. Altogether the total investment is worth £2.3m. The investment is a continuation of Lucketts Travel Group’s commitment to ensuring its passengers are provided with the safest, most comfortable and most cost-efficient holidays and excursions on the market. Lucketts director Ian Luckett said: “These new additions to the Lucketts Travel Group fleet are part of a continuous programme of investment that ensures we remain the leading coach firm in our region and underpins our growth plan for the coming years.“It also ensures our customers have industry-leading comfort and service when they are on trips with us, whether on our holidays and excursions or whether they have hired the coach privately. 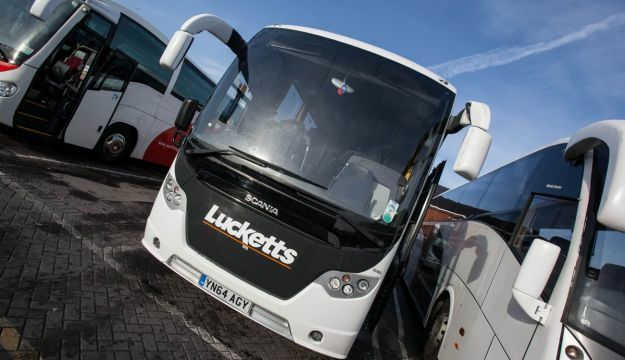 Lucketts Travel Group now has more than 100 vehicles in its fleet across its three depots, which carry more than a million passengers each year.During the past 12 months the firm has invested heavily in training for staff across its business, and has been given an award for its investment in new technology. It also passed the Guild of British Coach Operators and the Confederation of Passenger Transport’s CoachMarque audits. They are carried out every two years and ensure that coach firms are adhering to best practices and the highest standards of operation.